We are finally here, Day One of the George Zimmerman trial. The defense team, Mark O’Mara and Don West along with Asst. State Prosecutor Bernie de la Rionda have the enormous task of finding 6 unbiased, unaware swamp dwelling people who live in Seminole county Florida who have not heard of this case or more realistically have not formed an opinion of this case. The State and the defense team will then decide, if they have formed an opinion, do they still have the ability to be fair? On February 26, 2012, the defendant George Zimmerman called non-emergency 911 to report a suspicious person. Listen to non-emergercy call below. Initally Sanford Police Department did not arrest George Zimmerman. 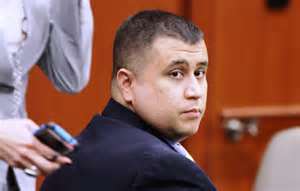 The case was later handed over to Florida State Attorney Angela Corey who subsequentally indicted Zimmerman charging him with 2nd degree murder. In America, most of our trials begin with jury selection or vior dire. (vwahr [with a near-silent “r”] deer) n. from French “to see to speak,” the questioning of prospective jurors by a judge and attorneys in court. Voir dire is used to determine if any juror is biased and/or cannot deal with the issues fairly, or if there is cause not to allow a juror to serve (knowledge of the facts; acquaintanceship with parties, witnesses or attorneys; occupation which might lead to bias; prejudice against the death penalty; or previous experiences such as having been sued in a similar case). Actually one of the unspoken purposes of the voir dire is for the attorneys to get a feel for the personalities and likely views of the people on the jury panel. In some courts the judge asks most of the questions, while in others the lawyers are given substantial latitude and time to ask questions. Some jurors may be dismissed for cause by the judge, and the attorneys may excuse others in “peremptory” challenges without stating any reason. 2) questions asked to determine the competence of an alleged expert witness. 3) any hearing outside the presence of the jury held during trial. After filling out a questionnaire, the 500 selected potential jurors have been broken up into 3 groups. Today the State and defense will question the first group, tomorrow the second group and Wednesday the third group. The questionnaire has not been made public. Before today there was still a question regarding audio experts. I’m relieved to learn that on Saturday Judge Debra Nelson, that the expert opinions regarding the “death sheik” will be admissible. I’m not surprised to add, defense attorney Mark O’Mara once again asked for a continuance which was denied and O’Mara says he has a witness he’d like to had to the list. *FYI, the trial’s being streamed at Click Orlando and the Huffington Post. After filing mutiple motions in a last ditch effort to build a reasonable defense for George Zimmerman, defense attorneys Mark O’Mara and Don West walked gloomily out of the courtroom today. Without much help from Judge Nelson, their day was a wash. Circuit Judge Debra Nelson ruled that defense attorneys will not be able to mention Trayvon Martin’s school suspension, alleged participation in fights or his past use of marijuana. 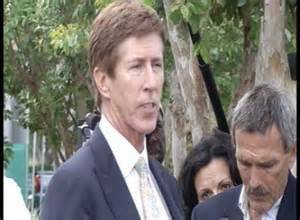 As any first-year law student would know, Mark O’Mara’s strategy to post online photos and text messages from Trayvon’s cellphone was not only a way to victimize Zimmerman’s victim again but a blatant sleazy attempt to tarnish the jury pool. As expected, O’Mara’s request to have such garbage entered into evidence was quickly denied. In other rulings, the judge refused to allow jurors to travel to the crime scene predicting that the excursion would be “a logistical nightmare” and she also refused the defense request to have jurors sequestered. As for the defense’s request to delay the start of the trial, that was denied too. As Judge Debra Nelson previously ruled, the trial will begin June 10, 2013. As the 2 hour hearing continued, the prosecution won another victory. Judge Nelson granted their request to withhold information as to why it took so long for Zimmerman to be charged with second-degree murder. She ruled that no dialogue or information will be allow from officers of Sanford Police Dept. or State attorneys as to why they originally decided not to arrest George Zimmerman. However, she granted the defense team’s request to hold a hearing as to whether the prosecution failed to turn over evidence. A former attorney in the State’s office has charged the prosecution with withholding Trayvon’s cellphone photographs and text messages. From my understanding this issue will be handled sometime after the trial. Benjamin Crump, an attorney for Trayvon’s family, said his family was pleased with the judge’s rulings. “Trayvon Martin is not on trial,” Mr. Crump said. After the hearing, Robert Zimmerman, George’s brother, called on the state to drop the second-degree murder charges. He added “In this country. You don’t charge someone with any crime solely to assuage the concerns of misinformed masses,” he said, according to CNN. Wow! Thank you Trent! He’s my hero, without Trent, owner of TheStateoftheinternet.com I would be lost. After following murder trials for most of my life, I can honestly say — “I’ve never seen anything like this one”. A prosecutor questions the defense attorney on the stand! What can I say? For those who missed it, I’ll lead you to YouTube. See YouTube, StateoftheInternet for the all 13 videos. March 5, 2013, in the courtroom of Judge Debra Nelson, Zimmerman’s hearing is scheduled for 8:30am CST. According to GZLegal.com, George Zimmerman is not expected to attend. Attorneys Mark O’Mara and Don West are prepared to argue the following Motions. 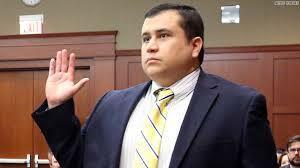 Will today’s hearing determine if George Zimmerman’s “Stand Your Ground” hearing actually will happen April 22nd? 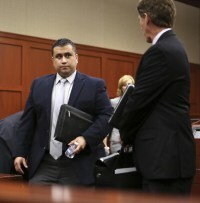 •Zimmerman had the reasonable belief that his life and his safety were in danger as a result of an overt act or perceived threat committed by Martin. As we all know, if George Zimmerman’s attorneys are successful at the “Stand Yout Ground” hearing, George Zimmerman goes home a free man. 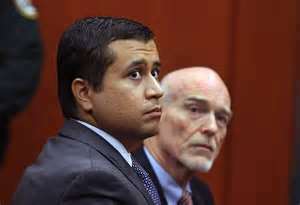 He’ll have to explain to all 6 jurors, why he chose to follow Trayvon Martin. He’ll have to explain why he called non-emergency 911. He’ll have to explain each and every action he took to “keep an eye” Trayvon. He’ll have to explain his reason for leaving the safety of his vehicle, on a dark and rainy night to pursue what he perceived “a suspicious man”. He’ll have to give all 6 jurors a reason for not following the implied instruction given by the NEN dispatcher to NOT follow this young man. He’ll have to explain exactly what happened after he ended the NEN call. He’ll have to explain HOW – did he and the victim, finally meet face to face. He’ll have to explain WHY, since he was a trained Neighborhood Watch Captain that he didn’t know proper protocol as to how to handle suspicious persons. He’ll have to explain HOW he could be so dumb NOT to realize that HE George Zimmerman, “Neighborhood Watch Captain” had become THE SUSPICIOUS PERSON. The creep Trayvon Martin was looking at was a 28-year old male, in a blue truck, driving very slowly down the street in the rain with his headlights off, watching his every move. The person Trayvon Martin was watching suddenly appeared on foot, following and getting closer to him without saying a word. 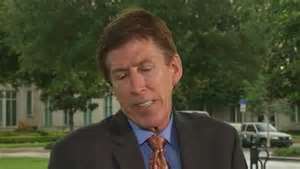 On January 18, 2013, according to reporter Tony Pipitone, of ClickOrlando.com, George Zimmerman’s lead attorney Mark O’Mara has potentially revealed his hand. George Zimmerman is charged in the second-degree murder of 17yo Trayvon Martin. Zimmerman claims he shot Trayvon Martin in self defense after he stalked and followed the boy as he was walking home from a local convenience store. At the time of the incident, George Zimmerman was under the influence of Adderall, a drug prescribed to him for ADHD, a disorder usually found in children but sometimes in adults. An adult may experience restlessness instead of hyperactivity. In addition, adults with ADHD consistently have problems with interpersonal relationships and employment. According to reports, this describes George Zimmerman to a tee. In O’Mara’s big bag of tricks, he plans to use surveillance videos, evidence receipts, warrants and video of Zimmerman surrendering to authorities. These were some of the items listed in a notice to prosecutors filed by O’Mara. • Various evidence and property receipts. The defense is also seeking records from ABC News regarding an interview the Martin family attorney did with a key witness in the case last March. At least one ABC News employee witnessed the telephone call with Witness 8, a young woman Martin was talking to on the phone as he was being followed by Zimmerman on the day Zimmerman shot Martin to death. Once again, DeeDee, listed as Witness 8 comes into focus. DeeDee is Trayvon Martin’s girlfriend, who happened to be on the phone with Trayvon off and on during the time George Zimmerman was following him. DeeDee will testify that she heard Trayvon Martin ask Zimmerman, “what are you following me for” seconds before the phone went dead and for that the defense would like nothing more than to eliminate her from the list of witnesses. O’Mara motioned for a subpoena of ABC News, O’Mara claims he has received recordings revealing less than half of what was said in a 26-minute telephone call. “There are several ‘starts’ and ‘stops’ and other obvious edit indicators” on the recordings turned over by Martin family attorney Benjamin Crump, the motion states. In other news its been reported that the the defense team has recently received Trayvon Martin’s school records which GZLegal.com has not yet released to the public. However, O’Mara announced he may release portions of the report at a later date and at his discretion. I’ll assume if he doesn’t release anything soon, it’s because Trayvon Martin’s school records are clean. 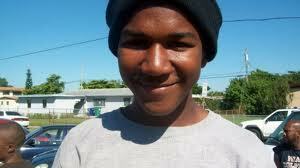 The next hearing is scheduled for February 5th which also marks the 18th birthday of Trayvon Martin. Trayvon Martin was stalked and gunned down by neighborhood watch captain George Zimmerman on February 26, 2012.